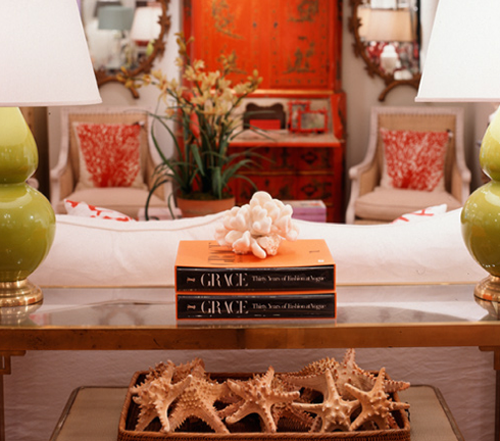 The decor in the DC home of Ali Wentworth features coral, starfish, and seashells. My favorite decorative objects are invariably organic: shells, gemstones, coral, branches, and other natural detritus are corralled all over my apartment in bowls and trays. I've been known to drive my family to distraction while on vacation, shopping for rocks (yes, rocks - Yellowstone and Glacier National Parks have stores with great selection), or derail an afternoon walk to collect acorns. 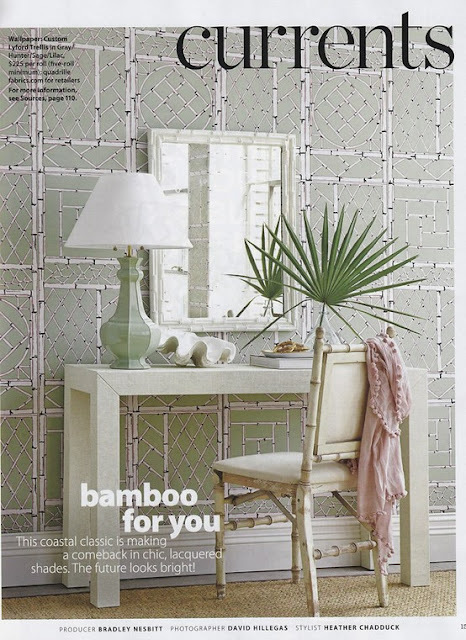 In my apartment: two coral branches (both plaster casts) are displayed on a side table. 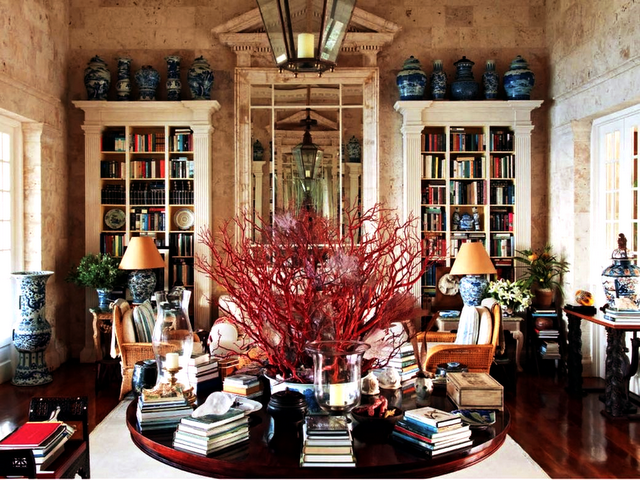 Coral and seashells are by my far my favorites; my bathroom is covered in vintage prints of Audubon-like shell drawings, and the dining area etagere has almost as many coral branches as books. 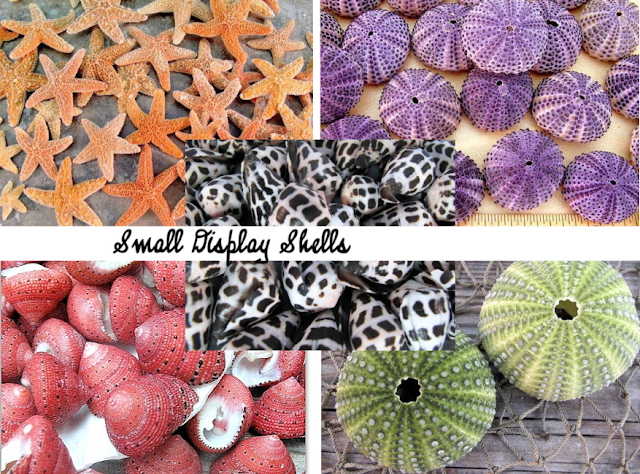 For years, I've scrounged shells and coral from vintage shops and sporadic seaside trips (and Home Goods! ), but I was delighted to find that Etsy store SeaSide had a selection of beautiful pieces. 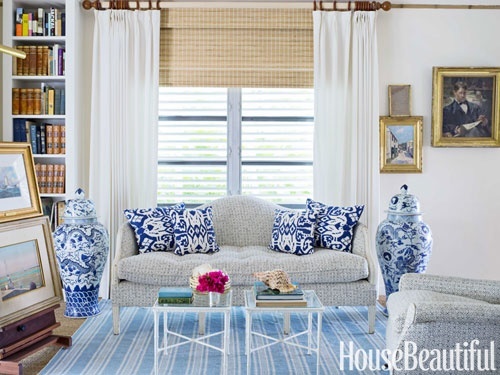 Here are some of my favorite items, and ways to decorate with them. *The large clamshell here is from ZGallerie. 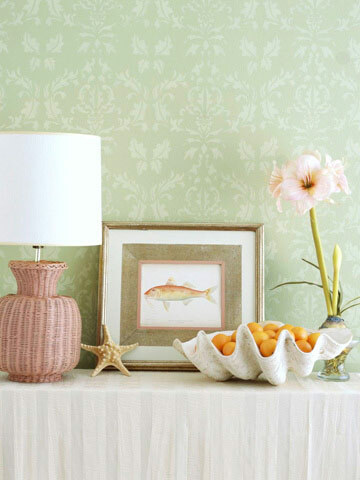 The spiderweb of the sea - delicate branch coral can be framed or propped on mantlepieces or tables for great effect. Sturdier corals can stand alone or be piled in bowls or trays. 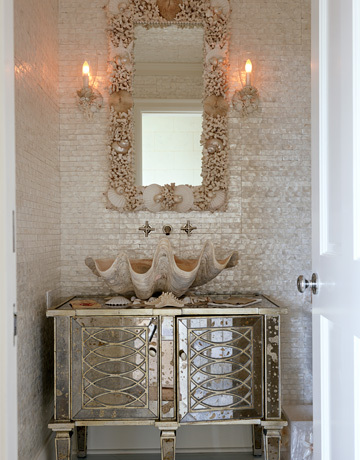 I just love that image of the bathroom vanity with the giant clam shell for the basin. 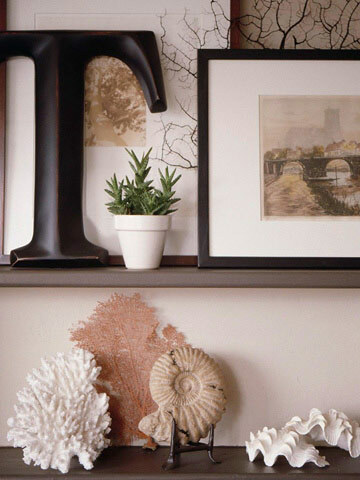 I use a giant clam shell to store all the remotes, along side a collection of Coral and shells on the mantlepiece. Some of the shells we've collected (Figi and around Australia) and then there are the faux coral (extremely large) that came via Pottery Barn..... real coral can be hard to (legally) come by in Australia! 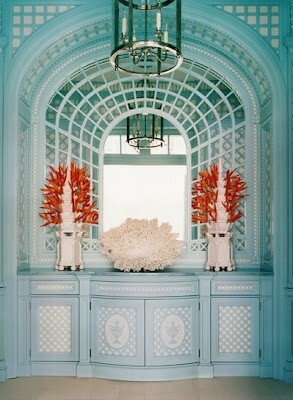 Almost anything can be used to decorate an apartment like these shells. Great job! My favorite among the ones in the pictures are the red shells that seem like underwater red seaweed. They look fabulous! I wouldn't mind getting one for my Uptown Minneapolis apartments. I love that this trend keeps going on. It just makes me happy to have a bit of sea life.